The once the FEX and switch work was completed I added the votes back to the primary DC and failed everything back again. It was while I was doing all this that I got to thinking about just how absurd all of this stuff is. Spend a moment to think about all the stuff you’ve been through, for however long you’ve been doing this nonsense, and realize the absurd nature of it all. I’m pretty sure just going through all the SQL Server word salad is enough to drive a person to drink. I was futzing around with SMO recently, and wanted to grab information around the read-routing list in an Availability Group. Things went fine for 2012 and 2014, but when it came to SQL Server 2016 I ran into a problem. 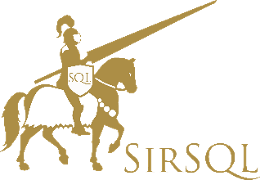 The read-routing property in SMO is a string collection (reference https://msdn.microsoft.com/en-us/library/microsoft.sqlserver.management.smo.availabilityreplica.readonlyroutinglist.aspx), which is fine for 2012/4, but SQL Server 2016 introduced the idea of load-balanced read-routing. When used this provide you with the option of having multiple read-only replicas which can handle traffic, and are load-balanced (it only uses a basic round-robin algorithm, but that’s a lot better than the single replica option that exists in the earlier versions). In order to correctly know how read-routing is configured you need to know what replicas are in a load-balanced group. SMO does not provide you with the ability to get at this information (nor does it give you the chance to configure read-routing in a load-balanced scenario), as it is a basic collection, and has no further property information around it. I’ve created a Connect item (Gathering Read Routing information using SMO is inaccurate in SQL 2016) to try and get MS to look into this, and maybe provide a fix, please upvote if you can. If you want to try this for yourself you can use the C# below, try it against the lower versions, and then on a load-balanced 2016 configuration. While it’s still possible to get this data from TSQL I find it annoying that the server management objects that are specifically written to deal with this stuff don’t do the job.